Trump and Modi have a phone chat. President Donald Trump has invited India’s Prime Minister Narendra Modi to visit the United States later this year, after the two spoke over the phone, on Tuesday. Washington said Trump saw India as a “true friend and partner in addressing challenges around the world”, reported BBC. The White House said it looked forward to welcoming Modi later this year. 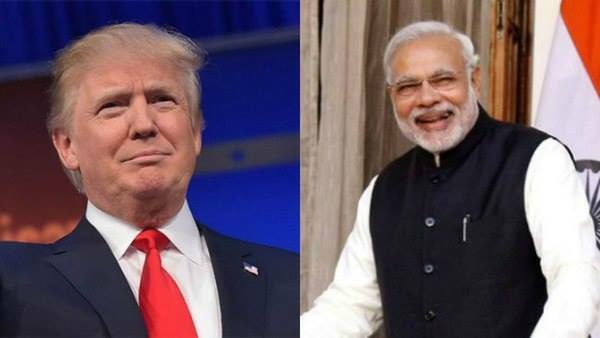 The US statement added that Trump and Modi resolved to “stand shoulder to shoulder in the global fight against terrorism”. During the US election campaign, Trump was largely positive about India. He praised Modi for championing bureaucratic reform and economic growth. NDTV reported Modi was the fifth word leader Trump spoke to after coming to office. Modi had been one of the first leaders to congratulate Trump after his victory in the November elections and the inauguration last week. In a series of tweets, the Prime Minister had said he looked forward to working with President Trump to “further deepen” India-US ties and “realize the full potential of our cooperation”. During his election campaign, Trump was positive about India, and he mentioned India as the only other nation besides Israel, with which he wanted to strengthen ties. Expressing personal admiration for Modi, Trump had called him a “great man” who was “very energetic in reforming India’s bureaucracy”. Before his telephonic conversation with Modi, Trump has spoken with Canadian Prime Minister Justin Trudeau, Mexican Premier Pena Nieto, Israeli Prime Minister Benjamin Netanyahu and Egyptian President Abdel Fattah el-Sisi.